April 10, 2019 by Mari Yamaguchi JAXA Scientists hope asteroid will reveal clues as to the history of the solar system. April 10, 2019 by David Koenig Analysts anticipate damage may be temporary provided software fix restores confidence. April 1, 2019 by Tom Krisher, David Koenig And Marcy Gordon Two deadly Boeing crashes spur aviation authority to limit manufacturer self regulation. March 27, 2019 by Amy Smart Move could cut operating costs by 80 percent, company says. 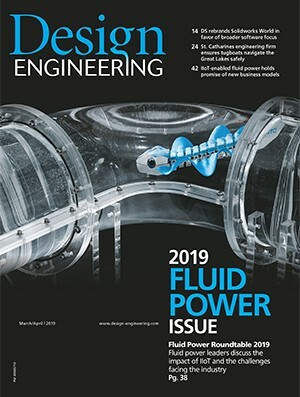 March 20, 2019 by DE Staff U of Buffalo engineers employ novel simulation technique to quiet sonic boom and other high-speed turbulence problems. March 14, 2019 by Tom Krisher, Zeke Miller And Rob Gillies Grounding of 737 Max 8 to cause “far-reaching financial impact” for plane maker. March 14, 2019 by Marcia Dunn Space agency says it may rely on commercial solutions for Orion capsule or delay until SLS rocket is ready. March 6, 2019 by Marcia Dunn Successful demo could open opportunity to launch two astronauts this summer. February 26, 2019 by DE Staff Plane maker says it will spend $22 million into Québec-based R&D initiatives over the next three-years. February 22, 2019 by The Canadian Press Successful landing of Beresheet lunar lander would make Israel only the forth country to explore the moon.